On the day of his daughter's wedding, Agamemnon orders her sacrifice. His daughter is led to her death, and Agamemnon leads his army into battle, where he is rewarded with glorious victory. Three years later, he returns home and his murderous action has set the entire family - mother, brother, sister - on a path of intimate violence. 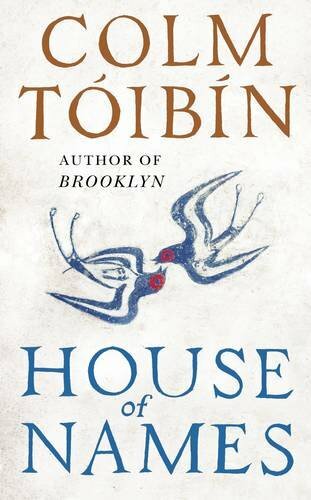 Part of Toibin’s success comes down to the power of his writing: an almost unfaultable combination of artful restraint and wonderfully observed detail. House of Names is a stunning work of fiction and one that proves that the reimagining of old tales and characters can make for effective and engrossing literature. He brilliantly inhabits the mind of one of Greek myth’s most powerful villains to reveal the love, lust, and pain she feels. Told in four parts, this is a fiercely dramatic portrait of a murderess. House of Names works because of the empathy and depth Tóibín brings to these suffering, tragically fallible characters, all destined to pass on "into the abiding shadows" — yet vividly alive in this gripping novel.